Vintage Office Door Sign. 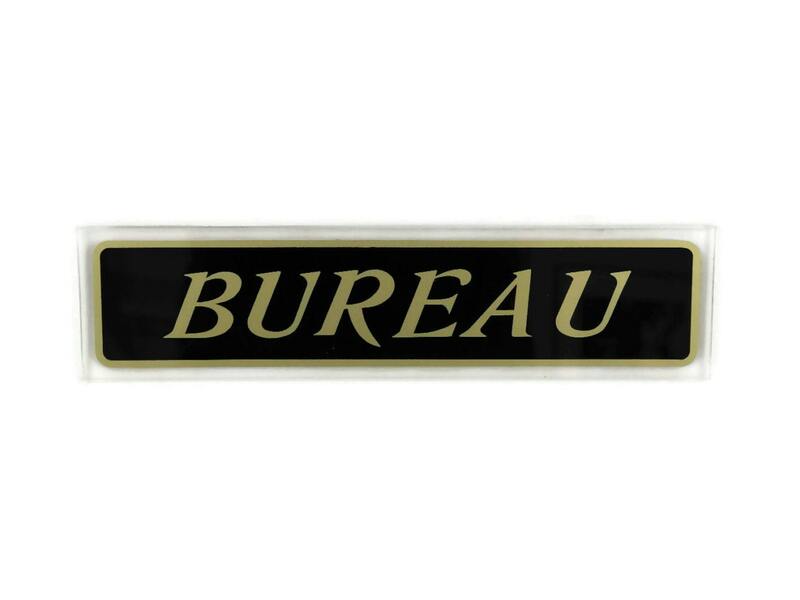 French Bureau Sign. 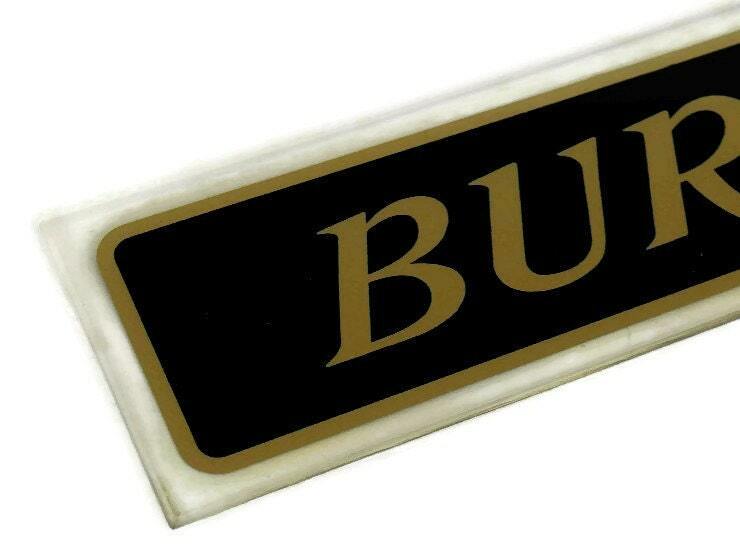 Black and Gold Wall Sign. 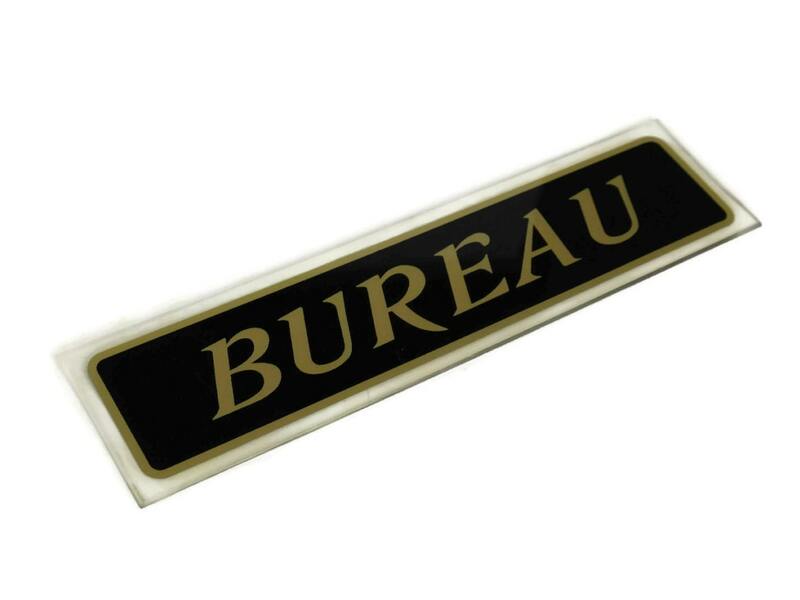 This French vintage door sign dates to the 1970's and is full of retro style. The sign is in French and would be displayed on the office door (Bureau in French). 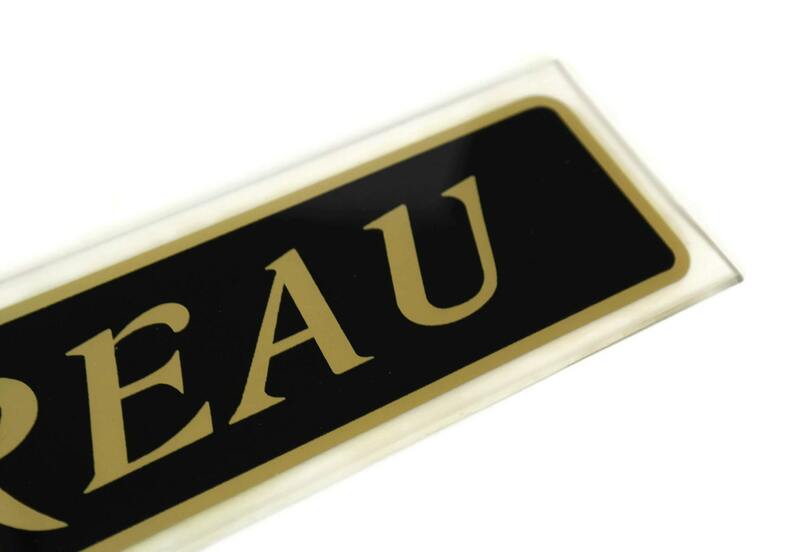 It is made of transparent perspex with gold text against a black background. 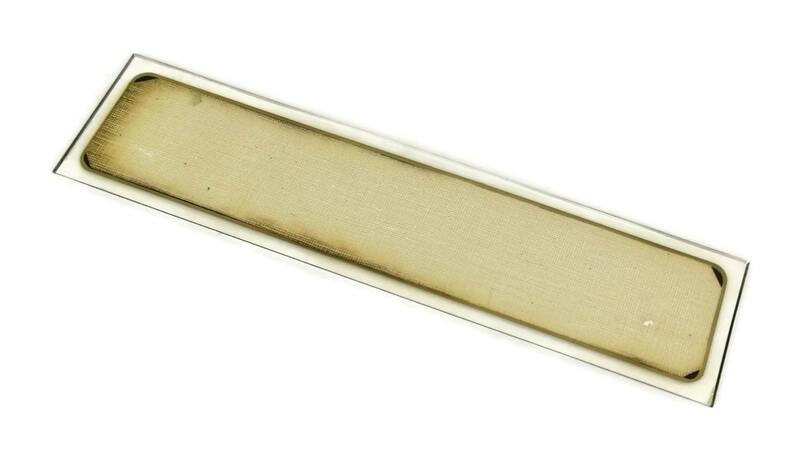 The reverse side has a layer of gauze which can be applied with glue and stuck on the door. 12" X 3" (30cm x 7.5cm). The sign is in very good vintage condition with light surface scratches to the plexiglass.